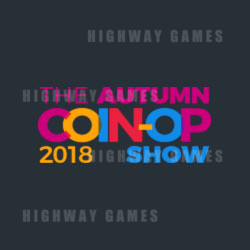 London's Autumn Coin Op Show 2018 is reporting a significant increase in visitor registration numbers from this time last year. Set to take place from October 3 and 4, the new Olympia location as of last year will be the shows new location for the foreseeable future. "I'm pleased to report that visitor registrations are already significantly ahead of this time last year. The industry has really got behind ACOS, to the point where the show is now a must-attend event for anyone in the UK's coin-op or amusements sector, be they manufacturers, operators or owners of single site or multiple leisure destinations," said Karen Cooke, show organiser. ASOS was launched in 2014 after industry requests and is completely dedicated to the UK coin-op and amusement sector. The event is known for product launches and previews of items set to hit the market in the new year.